Hello! 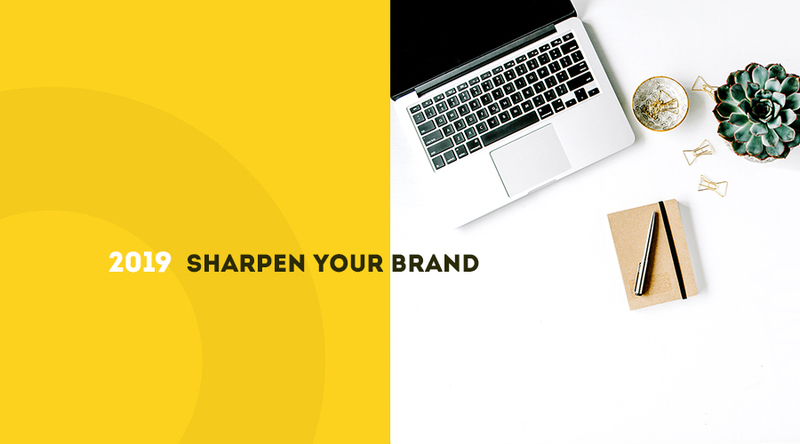 Here you will find easy tools and branding strategies to help keep your brand fresh and relevant in 2019. From your website to professional graphic design, in today’s competitive digital arena, it’s essential that you establish a strong and memorable brand presence. Your brand is all yours-make it count! 1. Your website-just how sharp is it? Has it been more than 3 years since a website redo? If so, then 2019 is the perfect time to start improvement. However, before you dive into a website redesign, take an in-depth look at what you are trying to improve. Besides the obvious outdated look, or heaven forbid, the site not mobile friendly, you need to understand your target market, current site and performance metrics. With all the avenues for creating and sharing content, it’s best to keep the source under your own brand – on your website. Don’t rely on unpredictable social media platforms to consistently deliver your messages. With algorithm changes on platforms such as Facebook, your content visibility can change in a heartbeat. Work from your website Blog and create content snippets from what you have already written and share across your social networks. As far as frequency, studies show that companies that produced 16 posts or more every month saw more than four times as much traffic as those who posted between 0 and 4 times. Now this may sound intimidating. Especially for the busy small business owner that lacks the time and expertise for coming up with creative topics. What in the world should you write about? Content that is created to help, inform and encourage can gain a lot of traction for search terms and on social media. Create content based on what you have experienced or learned. It should be encouraging, relevant to your audience and base it on research. For an example of an encouragement post that I wrote on art therapy and the benefits for children with ADHD, with over 1.3k shares, take a look here. 4. Create something of your own. Practice frequently. Write a post, conduct an interview, write something encouraging… create content that tells me who you are and what you enjoy. Tell me about your business or your goals for 2019. If you’re the creative sort of person, do something visual. I want to see! For visual and creative, share with me here on my Facebook page for Artists and Designers. Or mention me on Instagram. 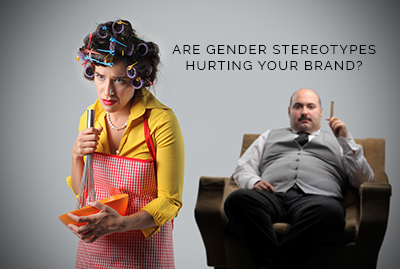 A sharp brand needs to avoid gender stereotypes. Do your research carefully and also conduct surveys to understand your audience better. There are many survey apps that you can use. I recommend taking a look at Typeform. It’s very intuitive and easy to use. As you may know, Merriam-Webster issues its top-10 words every year. In 2018 the word of the year was Feminism. Awareness continues on social issues and you can bet that more awareness will be placed on gender stereotypes and how they are used in content. Everyone has something to say. Who’s listening? The digital space is busy, noisy and growing like crazy. • Around 40% of the world population has an Internet connection today. • Facebook continues to be the most widely used social media platform, with 79% of American Internet users. • YouTube is now used by nearly three-quarters of U.S. adults and 94% of 18- to 24-year-old and the same demographics are using Instagram. • Twitter has it’s loyal following too! One of the most effective social media skills to have is being a listener. The term, ‘social listening’, is the process of monitoring social channels for mentions of your brand, competitor’s and other conversations that are relevant to your brand. This is effective for learning how people perceive your brand in comparison to your competitor’s. It can also be helpful in knowing what you need to change. Take serious every interaction with your brand and listen for ways that you can make your product/service better. 7. Email Marketing – The sharpest way to reach your audience. Email marketing is still on the throne and an inexpensive means of promoting your content and building loyalty. As you develop a reputation for providing great content, you’ll earn more subscribers, and as your subscriber base grows, your promotion potential grows alongside it. • 59% of marketers chose email to be the most effective channel for generating the highest revenue. • Email marketing continues to be a vital communications channel with studies showing that email receives 30 times return on investment on average. 95% of respondents rated it as ‘important’ or ‘very important’ to their organization. Implementing email-marketing campaigns to your digital marketing mix should be at the top of your list. 9. Last but not least – Sharpen your business image with professional graphic design. Great design sells. No doubt about it. 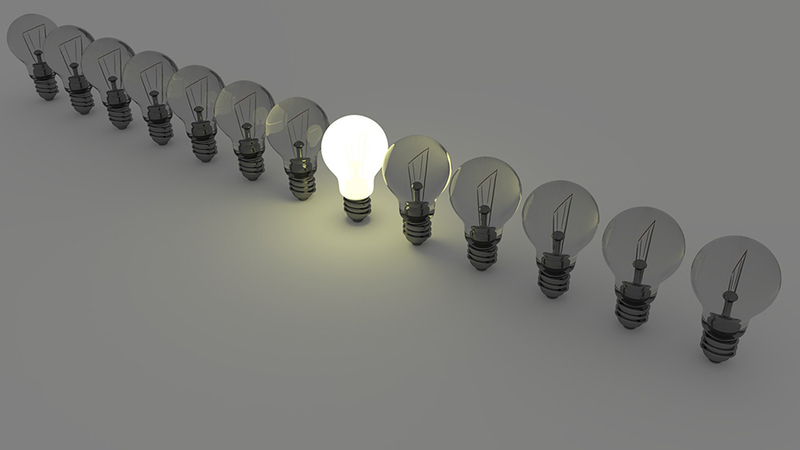 Think of the biggest brands with the most visibility and success. You’ll find design at the core. If you want your brand to be taken seriously you need to invest in professional design. You know what they say: you only have one chance to make a first impression. Download my eBook for all the details!